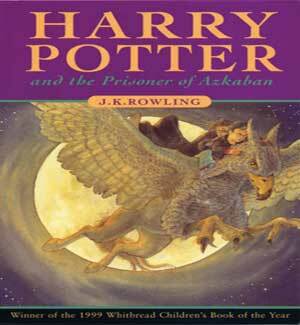 The third book in the saga of seven, Harry Potter and the Prisoner of Azkaban is commonly regarded as the fan favorite. JK Rowling began writing it the day after she completed the second book, Harry Potter and the Chamber of Secrets, by which point the first had gained quite a large fan base. By August of 1999, soon after the third book's release in the UK and a month before its release in the US, five million copies of the books were already in print. The book's UK release was slightly delayed to ensure that kids wouldn't skip school to read the book. By this point, the book series was already being labeled a phenomenon, but not a large enough one to merit midnight releases - at least not in Britain. It was released at 3:45 PM on Thursday, July 8, 1999 and it sold 68,159 copies in its first two days. American fans were even more enthusiastic about the series even faster than the Brits, and when Prisoner of Azkaban was released on September 8, 1999, many bookstores opened for business at midnight. An Atlanta bookstore manager reported selling more copies of the third Harry Potter book from 12 AM to 3 AM on its release date than Tom Wolfe's A Man in Full (a popular author at the time) on its entire first day of publication. Similar extremely high sales across the country birthed the phrase, "Harry Potter - the hottest book ever." Before September 8th, US fans pre-ordered 61,206 copies of the book on Amazon.com. 50,000 additional copies were sold on the eighth in bookstores around the country. By October 1999, more than 17 million copies of the Harry Potter books were in print in 25 languages. Rowling toured America for three weeks to promote Prisoner of Azkaban in October 1999 to promote, visiting Massachusetts, Washington, New Jersey, New York, and other states. During this tour, she did numerous book signings, interviews, and appeared on the "Today" show and the Rosie O'Donnell Show. She also took a trip to see The Lion King on Broadway. When in Boston, she said, "I am still stunned that I went literally from being an unknown author on the bread line to having my books at the top of the charts." Rowling was a multimillionaire by this point, a remarkable achievement. Bloomsbury, the UK publisher of the books, also saw a dramatic increase in profit. Their share price tripled during 1999 and their gross profits rose by 34% in that time frame as well - both largely due to Harry Potter. Harry spends another joyless summer at the Dursleys. He receives a newspaper clipping from Ron Weasley, whose father, Arthur Weasley won the Daily Prophet Grand Prize Galleon Draw. The family used the winnings to visit Bill Weasley in Egypt, who works as a curse breaker there. The Muggle news is filled with stories about escaped murderer Sirius Black. More terrifying, however, is the impending visit of Aunt Marge, Vernon Dursley's sister. Harry and Vernon bargain over a permission slip Harry needs for student outings to Hogsmeade, an all-wizarding village. Vernon agrees to sign it if Harry behaves while Marge is there. However, on the last night of her visit, Marge's vicious insults infuriate Harry, and he accidentally causes her to swell and float to the ceiling. An angry Harry collects his belongings and leaves. On a dark street, he is startled by a large black dog. Stumbling backwards, he inadvertently summons the Knight Bus, by flinging out his wand arm, which takes him to Diagon Alley. On the bus, he learns that Sirius Black is actually a wizard who escaped from the wizard prison, Azkaban. He was convicted of killing thirteen people with one curse. At The Leaky Cauldron, Harry is met by Cornelius Fudge, the Minister for Magic, who surprisingly shrugs off the incident with Harry's aunt. He suggests that Harry stay at the Leaky Cauldron until school starts, although he warns him not to venture outside Diagon Alley. Harry is soon joined there by the Weasley family and Hermione Granger. While school shopping, Ron mentions that his pet rat, Scabbers, has been ill since they returned from Egypt. Hermione buys an unusual cat, Crookshanks, who takes an immediate dislike to Scabbers. Just before boarding the Hogwarts Express, Mr. Weasley takes Harry aside and warns him that Sirius Black is after him and asks a puzzled Harry not to go looking for him. On the Hogwarts Express, Harry, Ron, and Hermione share a coach with a sleeping Remus Lupin. When the train unexpectedly stops, an eerie hooded creature enters the compartment. Its mere presence drains happiness from everyone near it and causes Harry to faint. Lupin awakes and repels it with a charm. He tells the frightened students it is a Dementor, an Azkaban guard hunting Sirius Black. At the school Welcoming Feast, Professor Dumbledore announces that the Dementors will guard Hogwarts while Black is at large. He welcomes two new teachers�Professor Remus Lupin, the new Defence Against the Dark Arts teacher, and Rubeus Hagrid, the new Care of Magical Creatures teacher. Hermione's class schedule is a conundrum to Ron and Harry. She appears to be taking every course, including those offered simultaneously. The three take Professor Trelawney's Divination class, but Hermione takes an instant dislike to both the professor and subject. After the first class, Harry begins to fear that the black dog he saw was a Grim, an omen of death. Hagrid's first lesson ends in failure. While Hagrid shows students how to correctly approach a hippogriff, Draco Malfoy's arm is slashed after he deliberately insults Buckbeak. Draco's father, Lucius Malfoy, files a complaint with the Ministry of Magic. The Defence Against the Dark Arts lesson goes well until Professor Lupin prevents Harry from facing a boggart, a creature that transforms into whatever a person fears most. When Lupin steps between it and Harry, the boggart turns into a floating white orb, a fact noticed by Hermione. Lupin later tells Harry he intervened because he feared Harry's boggart would transform into Lord Voldemort and disrupt the class. Professor Snape suddenly arrives with a potion for Lupin. Soon after, Snape substitutes for an ill Lupin and unexpectedly has the students study werewolves. At Halloween, the Gryffindors find themselves locked out of their House. The The Fat Lady's portrait has been shredded, apparently by Sirius Black in an attempt to find Harry. Another night, Ron awakens to find Black standing over him with a knife, although Black flees when Ron screams. Gryffindor's first Quidditch match, against Hufflepuff, ends in a loss when Harry faints and falls from his broom; Dementors approached him during the game. Hufflepuff captain, Cedric Diggory insists on a rematch to no avail. Unfortunately, Harry's broom was destroyed when it flew into the Whomping Willow. Harry asks Lupin to teach him how to repel Dementors. Lupin shows him the Patronus charm. Harry soon becomes proficient with it, even though it is highly advanced magic. Because Harry lacks written permission from the Dursleys, he is barred from visiting Hogsmeade. Fred and George Weasley give him their Marauder's Map that shows secret passages between Hogwarts and Hogsmeade and every person's location within the castle. It was apparently created by "Mssrs. Moony, Wormtail, Padfoot, and Prongs". Wearing his Invisibility Cloak, Harry sneaks into The Three Broomsticks with Ron and Hermione and overhears a conversation that Black was James Potter's best friend and Harry's godfather. He was also the Potters' Secret-Keeper and is believed to have betrayed their whereabouts to Voldemort and murdered their friend, Peter Pettigrew, and twelve Muggles. An enraged Harry vows to kill Black. Buckbeak is sentenced to be destroyed, although Harry believes Lucius Malfoy bribed the Ministry of Magic. Harry, Ron and Hermione offer to help Hagrid with the appeal. On Christmas Day, Harry anonymously receives a Firebolt. Suspecting it was sent by Black and may be cursed, Hermione reports it to Professor McGonagall, who confiscates it. This creates a rift, with neither Harry nor Ron speaking to Hermione. Eventually, the Firebolt is returned. Ron and Harry make-up with Hermione, but when Scabbers is missing, Ron blames Crookshanks, and an even larger rift erupts between him and Hermione. At the next Hogsmeade visit, Harry narrowly avoids getting caught by Snape, but Draco Malfoy spots him with Ron. After returning to Hogwarts, Snape calls Harry aside, and finds the Marauder's Map. 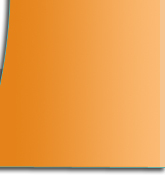 He attempts to force the blank parchment to reveal itself, but it merely produces insults from its creators. Professor Lupin also examines it and tells Snape it is only a trick parchment, but he later admonishes Harry. When Hagrid loses the appeal and Buckbeak is to be executed, Hermione and Ron end their feud. During Harry's Divination exam, Professor Trelawney suddenly goes into a trance and predicts that Voldemort's servant will return to him that evening, although she recalls nothing when she awakens. Just before the execution, the trio sneak to Hagrid's hut to console him. While there, they discover Scabbers alive and unharmed. Hearing Fudge, Dumbledore, and the executioner approaching, Hagrid rushes them out the back. They hear the axe fall as they leave. Scabbers suddenly bites Ron and escapes. As Ron chases him, he is grabbed by a giant black dog and dragged through a gap in the Whomping Willow's trunk. Harry and Hermione follow through a tunnel leading to a dilapidated house - the Shrieking Shack. Inside they find an injured Ron, who tells them the dog is Sirius Black's Animagus form. Harry overpowers the weakened Black. As Black tries to tell Harry what actually happened to his parents, Professor Lupin bursts in and disarms the students. He embraces Black, and the shocked students believe he is Black's accomplice. Hermione exposes Lupin's secret - he is a werewolf. This is why Snape had them study werewolves; Hermione also noticed that Lupin was "sick" during the full moon and that his Boggart is a silvery orb. The group leave the Shrieking Shack, with Pettigrew and an unconscious Snape in tow. Sirius, Harry's legal guardian, offers him a home, which Harry eagerly accepts. But as the full moon rises, Lupin turns into a dangerous werewolf, having forgotten his Wolfsbane potion. Black transforms into a dog to protect Harry and the others, while Pettigrew becomes a rat and escapes. Lupin runs off when he apparently hears another werewolf's howl. Harry and Hermione find a wounded Sirius by the lakeshore; the Dementors are approaching. Harry attempts to conjure a Patronus but fails. The Dementors attack, but before passing out, Harry sees a Patronus in the form of a silver stag scattering the Dementors. Across the lake, a shadowy figure stands on the shore. Harry awakens in the hospital and overhears that the Dementors' Kiss (sucking a soul from a body) is to be performed on Sirius. Dumbledore enters, and he cryptically tells Hermione more "time" is needed, as well as where to find Sirius. Before leaving, he says more than one innocent life can be saved. Hermione understands and produces a small hour glass pendant from around her neck�a Time Turner. She tells Harry it is how she has been taking so many classes all year. She transports herself and Harry three hours back in time. They arrive just as the "other" Harry, Ron, and Hermione sneak off to Hagrid's. While Dumbledore, Fudge, and the executioner are inside Hagrid's hut, Harry and Hermione lead Buckbeak into the forest. There they watch as the previous events unfold once again. As Lupin turns into the werewolf and is about to attack the others, Hermione howls like a werewolf to distract him. As the Dementors close in on the "other" Harry, Hermione, and Sirius, Harry runs to where the mysterious figure on the lake shore was standing. He suddenly realizes it was himself he saw and conjures a powerful Patronus, creating a predestination paradox. His Patronus takes the form of a silvery stag, similar in appearance to his father's animagus form, and the nickname, "Prongs", becomes clear. Harry and Hermione free Sirius, who escapes on Buckbeak. Racing back to the infirmery, Dumbledore locks them in as the timeline restores itself to normal. A furious Snape bursts in, accusing Harry of releasing Sirius, but both Dumbledore and Madam Pomfrey provide alibis. The next day, Snape deliberately lets slip to the school that Lupin is a werewolf. Lupin resigns, but before leaving, he returns the Marauder's Map to Harry. Harry regrets saving Pettigrew, but Dumbledore says Pettigrew now owes Harry a "life debt." On the Hogwarts Express, Harry is in low spirits, returning to the Dursleys when he nearly had a new life with Sirius. Ron promises he will convince his parents to invite Harry to visit during the summer. A tiny owl delivers a letter from Sirius who confirms he sent Harry the Firebolt. He also encloses a permission slip for Harry to visit Hogsmeade. 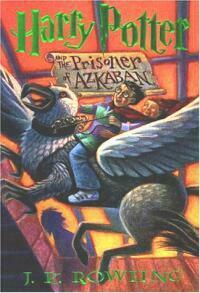 In a postscript, he offers Ron the owl in place of Scabbers. Ginny names it Pigwidgeon. Met by Uncle Vernon at the station, Harry swiftly informs him that his godfather, a convicted murderer, expects regular letters. Harry looks forward to a more pleasant summer than usual.